Dmitry Nikolaev a married TV actor has woken up to discover that his manhood is no more after coming to be drugged the night before and having his testicles stolen the following morning. The Russian actor’s nightmare began the night before where he had been having a drink at a local bar after finishing a performance at a small Moscow theater. At the time the married actor came to be approached by a ‘young blonde woman’ whom later invited the ‘married actor’ to join her at a sauna. It wouldn’t be until the following morning that Dmitry Nikolaev would wake up at a bus stop (why decline?) feeling acute pain with blood on his trousers. Notes inquistr: Not having the slightest inkling of what was plaguing him, Dmitry called for an ambulance and was rushed to hospital, where the doctors had some disturbing news for the young TV presenter. Rushed to hospital, the ‘married actor’ reports the UK’s dailymail was told that his testicles had been removed and that ‘it was done like proper surgery by someone with a medical education’. Police would tell that the operation was conducted in a ‘skillful way’, who since believe the man’s beer was spiked by an unknown drug. 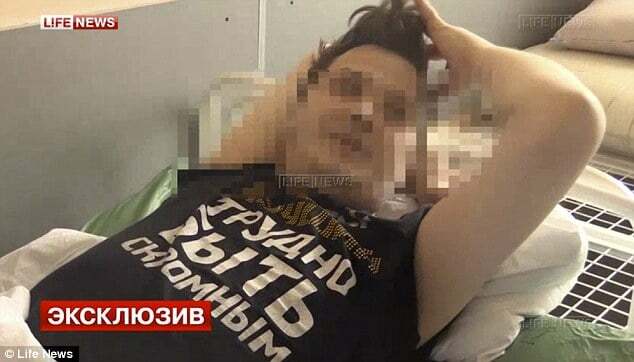 Since the married Russian tv actor’s ordeal authorities believe that a roving gang seeking to sell human organs on the black market might now be targeting unsuspecting individuals. Fortunately surgeons were able to close the man’s wound and after hours spent in intensive care, the ‘married tv actor’ is said to have made a full recovery. The actor, now working as a children’s animator, was reportedly too embarrassed at first to explain what had happened to his wife until finally relenting. I guess he really didn’t have the ball to tell his wife.